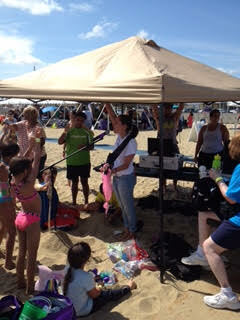 Jammin’ Jenn Music Therapy is one of the premier providers of Music Therapy in New Jersey. Our practice is currently expanding into Manhattan, Brooklyn, and Staten Island. Utilizing the power of music as a medium, our practice specializes in helping special needs children and adults, especially those on the Autism spectrum. Capture the power of music and help special needs individuals rise to their potential. Deliver music to special needs individuals with passion, skill, and experience. Conduct not good, not great, but outstanding music therapy. Show every individual and their family that we work with, our sincere interest in their well-being and best interest. Music Therapy is an interpersonal process in which the therapist leverages music to improve an individual’s quality of life. The value of music therapy to those with autism and special needs is extraordinary and unique relative to other therapies commonly received. Music is special in a way that humans universally can appreciate, especially those with autism and other special needs. Music is a medium that transforms those subjected to it. Increasingly recognized music therapy research and science shows that music positively affects special needs individuals’ mood, processing, sensations, and ability. As certain music is played/chosen, it can powerfully evoke certain responses. Often progress transcends what might be otherwise possible in other therapies or settings. Please don’t misunderstand, at Jammin’ Jenn we believe that other therapies like ABA, occupational, and speech are crucial. It’s just that we understand the power of music. We see it at work every day. Jammin’ Jenn Music Therapists’ aim is to provide a unique opportunity for individuals with autism and other special needs, whatever they may be, to embark upon a stimulating and creative musical journey. Progress is made resulting in more rewarding interpersonal relationships and experiences. Jammin’ Jenn Music Therapists combine multi-faceted training and a sincere sensitivity for individual and group needs. We set goals toward progress in the areas of speech / communication, socialization / behavior, cognition, self-esteem, & self-expression. Please look around our site and get to know our work. We love what we do and are inspired every day by these fantastic individuals. Our dedication is not only to the individuals we work with, but expands to their families as well. Please see our videos and testimonies – we gladly make references available as well. Contact us for a Music Therapy consultation. We would love to hear from you! 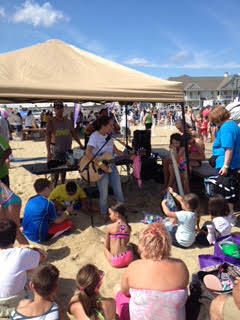 Autism Family Services Beach Bash in Belmar, N.J.
at PNC Arts Center, NJ. Please view Jammin’ Jenn’s appearance on The Real Housewives of New Jersey. Real Housewife, Jacqueline Laurita’s son, Nicholas is diagnosed with Autism. Working with music as a medium, Nick connects and is very engaged with Jenn as he has made significant progress with language and attending behavior. Jenn conducts music therapy with Nicholas weekly. 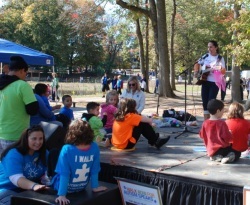 Jammin' Jenn, conducts a group therapy demonstration at the Autism Speaks walk in Cranford, NJ.